With all of the hodgepodge, pandemonium, and even topsy-turviness in the world today our daily thoughts can be easily cluttered. No doubt it is a difficult task to keep track of the happenings at work and home in addition to both the domestic news broadcasts and the news abroad. Upon waking in the morning, one might be thinking about the paperwork that needs to be submitted at the end of the day. However, at the end of the day, this paperwork might constitute a mere side note to the bigger news of a natural disaster or the winner of the Bulgarian version of Big Brother: Season Five. When we try to focus on one thing, it is common that our pattern of thought drifts to another topic - a tangent that is not necessarily desirable to accomplish a goal at hand. It can often be beneficial to attempt to clear this disarray within the mind and begin again with a clean slate. This is not to say that there is a Spell or a device such as the one in the film Men in Black that allows us to truly clear our heads or even erase our memory completely. Even if there was, this would not seem to be the optimal route as our memories and experiences significantly contribute to who we are. Nonetheless, to concentrate upon what is truly important in our lives can help us gain necessary perspective. Each individual possesses the inherent ability to train their mind to focus upon a single aspect of being or to induce a certain state of consciousness that better allows the flow of free thinking and assists in finding inner peace. This practice of training the mind is often referred to as meditation and has existed since the earliest civilizations. There exist a plethora of methods for meditation. If you have ever been to a Yoga class at your local gym then you have participated in a meditation session. If you have witnessed a Hari Krishna sect chanting on the streets, then you have seen a different form of meditation. Even if you have just sat alone in a room or in the outdoors and reflected upon your thoughts as well as observed your breathing pattern, then you have indeed meditated before. Finding the best meditation technique for you is an individual search. Each individual thinks most clearly in a setting unique to themselves. Some individuals possess great self-control and are able to meditate without any guidance. Others are often absorbed with the issues in the material realm and require assistance to set them off in the right direction. There is no right or wrong. Within religions such as Wicca, meditation holds a more specific purpose. However, this specific purpose is associated with the canonized aspects of a religion. 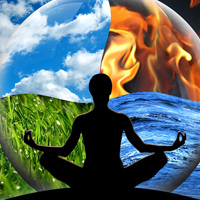 In the path to spirituality in Wicca and other religions, as well as the non-religious personal quest, meditation is an invaluable tool to gain focus and peace of mind. On the religious side, conversely, meditation is intended as a means to create a connection with the divine. 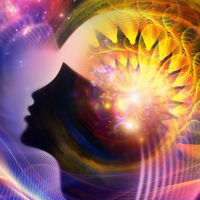 Many practitioners of Magick utilize a certain method of meditation (though still usually individualized) to reach an altered state of consciousness. Within this altered state, the practitioner is able to see more clearly the works of the divine and discover more about the nature of humanity's purpose in the Universe. This can certainly be an important goal through meditation, though it is not necessary to achieve this in order to assort with a religion. If you are interested in meditation but do not know where to begin, try to identify the moment of the day or week when you tend to think more clearly, and recreate that moment. If all else fails, solitude and quiet usually always works. Hello J Antle: greetings, I have meditated thru my yoga. and just really love it, I have gotten better at it..I was having my blood pressure taken by a friend, and it was really high, but I assured her to let me meditate a few minutes and I can bring it down. so I took a big breath,sat there in the chair. and sure enough, she checked it again, and it went down by 8 points!! I was pretty proud, hahah.. so i'm keeping the faith. Blessings to you L.S.